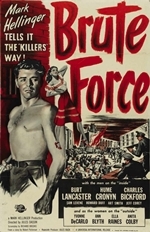 Brute Force is a 1947 film noir directed by Jules Dassin, from a screenplay by Richard Brooks with cinematography by William H. Daniels. It stars Burt Lancaster, Hume Cronyn and Charles Bickford. The film was among several films noir made by Dassin during the postwar period. The others were Thieves' Highway, Night and the City and The Naked City. 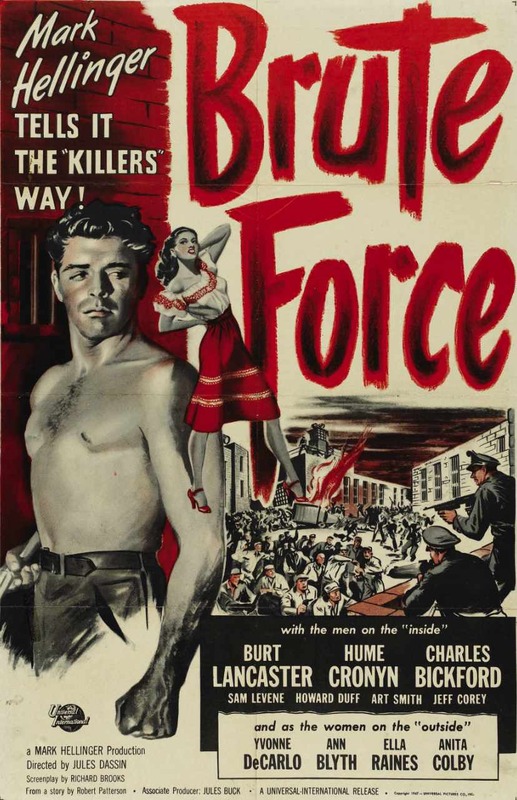 Critic Dennis Schwartz wrote, "Jules Dassin (Rififi and Naked City) directs this hard-hitting but outdated crime drama concerned about prison conditions... The point hammered home is that the prison system reflects the values of society, as Dassin castigates society for creating and then turning a blind eye toward the brutality and insensitivity of a prison system that offers no chance for rehabilitation."